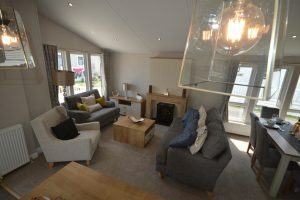 With an imposing exterior presence, a distinctly different interior layout and cool, contemporary styling throughout, the Pinehurst is a truly unique lodge. Offering practicality as well as style, this incredible new model range features a generous entrance porch with bench seating and overhead storage, plus coat hooks, space to store your shoes, and a full height cupboard. 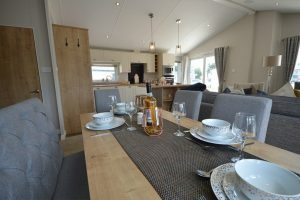 Thanks to a unique new interior layout, the Pinehurst offers a very different lodge lifestyle. 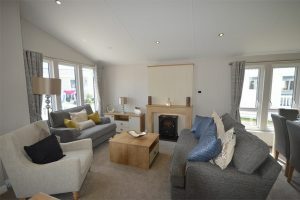 The large open plan living area boasts comfortable sofas as well as reconfigurable modular furniture, enabling you to create a comfortable seating area in the bay window. 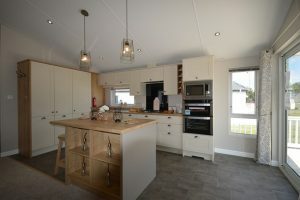 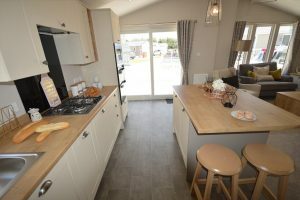 The stunning kitchen features high gloss cupboards, sleek dark worktops and high spec integrated appliances as standard, as well as a stylish breakfast bar and spacious entertaining area, allowing you to step straight on to your deck via the sliding patio door, maximising your outdoor space. 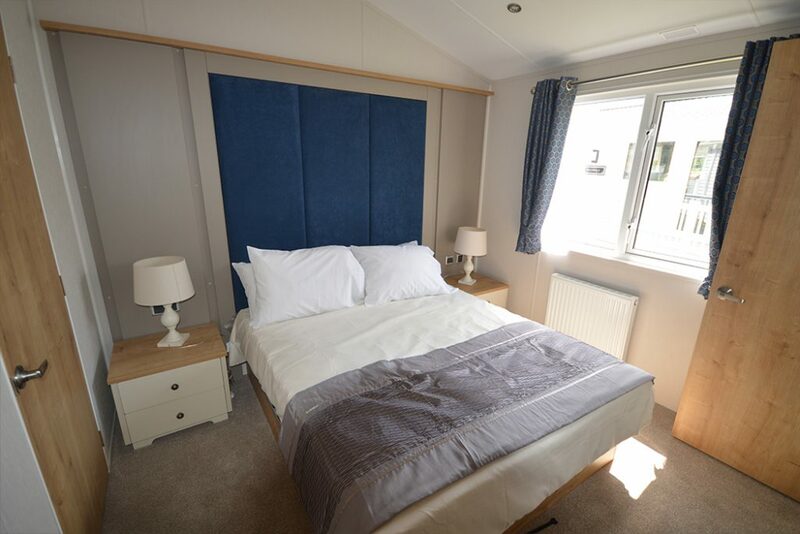 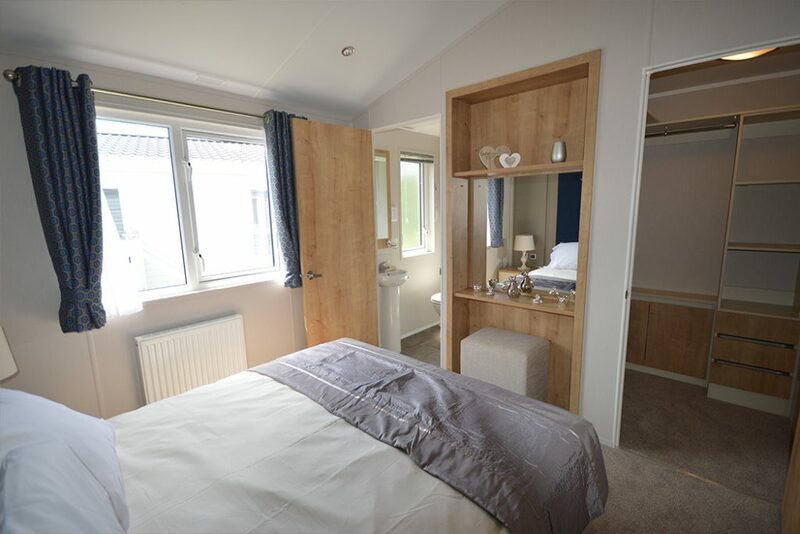 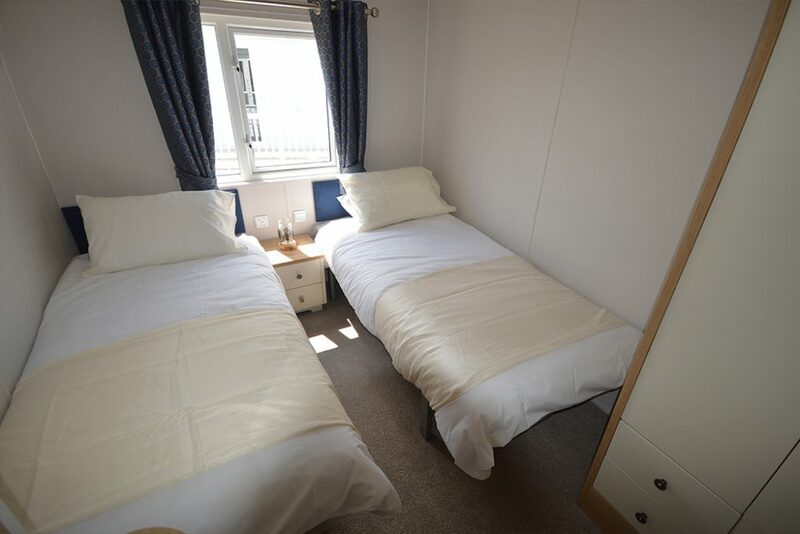 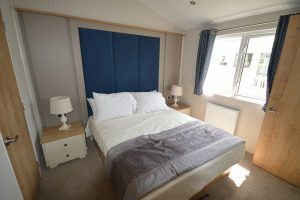 Both bedrooms are generously proportioned, offering king size beds, sumptuous bedding and mirrored dressing areas, whilst the master bedroom also boasts a spacious walk in wardrobe and ensuite shower room. 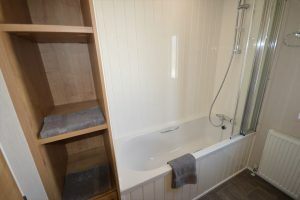 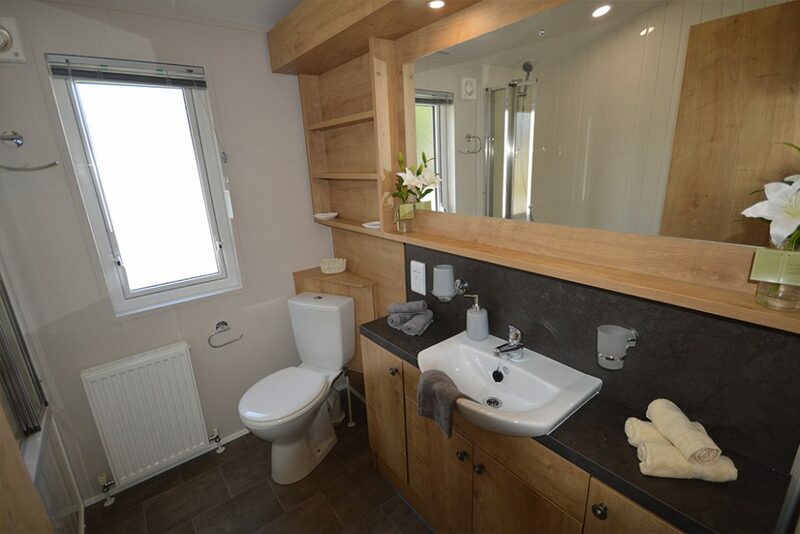 The second bedroom provides access to a useful loft storage area, whilst the ultra modern family bathroom features a bath as standard, as well as a stylish vanity area. Representing incredible value, the Pinehurst combines sophisticated interior styling and designer touches with a high level of specification, making it the perfect choice for those searching for luxury at an affordable price.